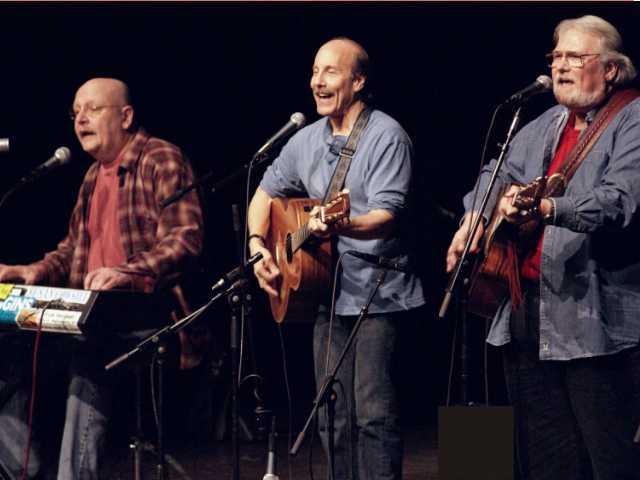 A cross between Crosby, Stills & Nash and the Marx Brothers, Modern Man (David Buskin, Rob Carlson and George Wurzbach) is a trio of singer-songwriters who have carved a unique niche for themselves with their inimitable brand of musical humor. No sacred cow is spared as they sing about topics ranging from God to Godzilla, the FBI to ESPN, and manliness to cluelessness, all in a style that has been called “a non-stop express train of uproarious entertainment,” (Oscar E. Moore, TalkEntertainment.com), and with a vocal blend not heard since Ella and F. Scott Fitzgerald went their separate ways. From 1998 until 2010, Modern Man performed in clubs, coffeehouses, concerts and festivals across the United States and Canada. These included the Philadelphia, Kerrville and Falcon Ridge Folk Festivals, and such acclaimed venues as Town Hall, Wolf Trap, The Bottom Line and Lincoln Center, where Roots of American Music Festival producer Spike Barkin called Modern Man “the cleverest, funniest, most versatile group that I have heard in years.” The trio also won the 2008 New York Nightlife Award for best comedy group in New York. Modern Man has recorded three CDs: The Wide Album, Modern Immaturity and Assisted Living. After a hiatus of several years spent pursuing other musical interests, Buskin, Carlson and Wurzbach are back touring as Modern Man despite popular demand, with topical material guaranteed to keep audiences laughing.